Going to the dentist sometimes feels like a nuisance. Your six-month cleaning and checkup creeps up on you, and it takes time away from your busy day to go to your appointments. Is it really necessary to go twice per year, wouldn’t once a year be sufficient? Dr. Angelo M. Julovich understands that many of our patients may feel this way, however your six-month cleaning and checkup appointments are truly your first line of defense against many oral health issues. Your dentist in 46077 explains why preventative dentistry is important. Dentists and physicians alike are coming to a better understanding of how our oral health is linked to our overall health and well being, thanks to recent studies. They’ve found that periodontal (gum) disease contributes to other health issues in the body such as high blood pressure, diabetes, cardiovascular disease, and vice versa. This is known as the oral systemic connection, and it means that there’s never been a more important time to take charge of your oral health. Your six-month checkup and dental cleaning in Zionsville, otherwise known as preventative care, can help us detect issues during your checkup such as gum disease, oral cancer, and tooth decay in their earliest stages. Dr. Julovich uses x-rays to help him diagnose problems that can’t be seen during and examination. When we catch these issues early on, it gives you the best chance of recovery with the least invasive treatment. It also protects your overall health and well being. During your cleaning, our highly skilled hygienists will take the time to remove the excess plaque buildup that causes gum disease and tooth decay. They’ll also offer you helpful tips on how to make the most of your home care routine in between dental visits. Optimum oral health begins at home and we’re here to help you. Dr. Julovich has been providing exceptional dental care to patients in Zionsville for over thirty years. His attention to detail and commitment to excellence have built his reputation in the community over the years. 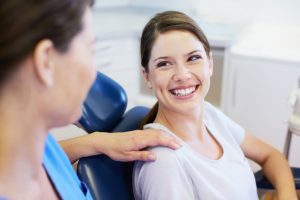 With years of experience and countless hours of additional training, you can rest assured that whatever your dental needs may be, Dr. Julovich can take care of them. We invite you to contact our office today to schedule your next appointment and experience the difference exceptional dentistry can make in your life.